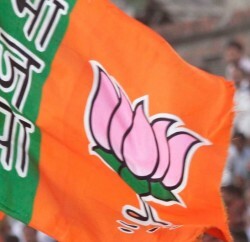 Himachal BJP finally put united face at Bharatiya Janata Yuva Morcha function at Knagra, where along with Chief Minister Prem Kumar Dhumal, Senior party leader Shanta Kumar and his supporters actively participated and urged party workers and leaders to work for the mission repeat. 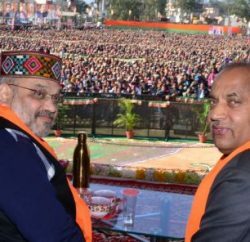 Shanta Kumar, who has taken himself away from the state party affair from last few years, finally shared dais with rival Dhumal camp. While addressing the BJP workers Shanta Kumar said that the SAD-BJP combine had repeated its government in Punjab and the BJP would do the same in Himachal. However he remained silent on HLP and didn’t comment anything on warring leaders who had left party and formed new political outfit. Though he ruled out any possibility of third front in State. Shanta Kumar said that Himachal political scenario is divided into bipolar party system and it will be difficult to break. Shanta Kumar said that his mission is to retain BJP in state and also to win the next Lok Sabha elections. Other BJP leaders of both the Shanta and Dhumal factions where present at the function. Minister for Industry Kishan Kapoor, who belongs to the Shanta faction, welcomed Chief Minister at the circuit house. 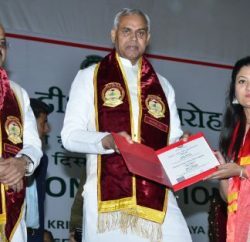 Later, the Chief Minister Prem Kumar Dhumal and Shanta Kumar had a closed-door meeting for about half an hour at the cricket stadium.